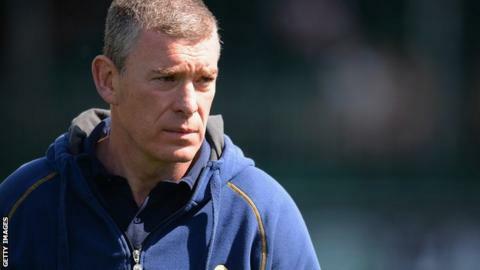 Dean Ryan labelled Worcester's opening-day defeat by Bristol "a great advert" for the Championship despite his side being beaten by a last-gasp try. After leading 10-3 at half-time at Ashton Gate, Warriors conceded three second-half tries, the last of them by centre Ben Mosses in the final minute. "To lose in the last minute is pretty hard," boss Ryan told BBC Sport. "But if that sets up what this Championship is going to be about we can't wait to get in it." In a game billed as being between this season's two promotion favourites, Warriors raced into a 10-0 lead but were pegged back after their try scorer Mike Williams was sinbinned for an off-the-ball incident. Bristol's former Worcester winger David Lemi crossed against the club he left at the end of last season to level the scores at 16-16, with Matthew Morgan's conversion putting Bristol back in front. Ignacio Mieres then appeared to have won it for the Warriors in the final minute with a penalty, but there was still time for one more play from Bristol - replacements Gareth Maule and Ross Johnston combined for Mosses to dive over. Morgan landed the conversion to complete a victorious debut for Bristol at their new Ashton Gate home. "On reflection we probably missed two or three opportunities in the first half to really put the game away," Ryan told BBC Hereford & Worcester. "We got ourselves back in with Ignacio but obviously, if you've missed those moments earlier, you're exposed to what's happened in the final moments. "But it was a pretty full-on contest, a great advert for Championship rugby and a real full-blooded encounter. "We're really pleased to be part of it and it's started now for real. I'm disappointed to lose but I'm really pleased with where we are. We dominated quite large periods of the game but weren't clinical enough to be able to impose that." Bristol: Wallace; Short, Tovey, Mosses, Lemi; Morgan, Peel; O'Connell, Crumpton, Perenise, Evans, Sorenson, Mama, Lam, Eadie. Not Used: Johnston, Hall, Townson, Skirving, Hampson, Jarvis, Maule. Worcester: Pennell; Smith, Grove, Symons, Biggs; Mieres, Arr (Mulchrone); Bower, George (Annett), Schonert (Daniels), Percival, Sanderson (Scotland-Wiliamson), Williams, Betty, Cox. Not Used: de Carpentier, Eden, Stelling.